Luton and Dunstable University Hospital’s fundraising drive to build an onsite helipad linked to its Emergency and Critical Care services has got off to a flying start, thanks to a donation of £2m from the HELP appeal – the only charity in the country dedicated to funding hospital helipads. 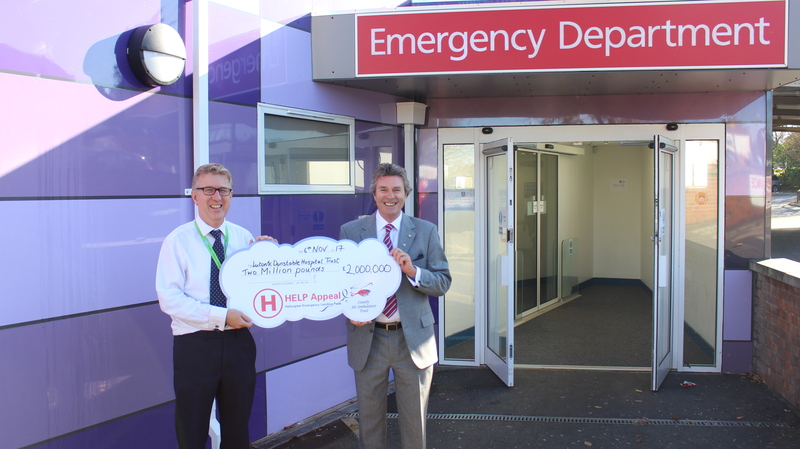 The £2m donation means the Luton & Dunstable (L&D) fundraising appeal to raise a total of £5.4m to build a helipad, is firmly off the ground. Having a helipad on the hospital site will help people across the local area to get the specialist care they need, as quickly as possible – saving precious minutes saves precious lives. When someone suffers a major trauma the quicker they receive specialist emergency care the more likely it is that they treatment will prevent death or serious disability. Helicopters offer a much quicker and more reliable method of transporting critically ill patients to hospital compared to a land ambulance.